I got a "Friends and Family" discount card from a friend who works at Sephora recently. 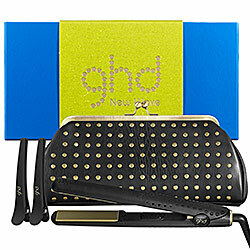 I chose to go all out and use this 20% off card on a big ticket item, a GHD hair iron. I've wanted a new straightening iron for years but have been too cheap to get one. I figured there would be a time I would get a deal on one would eventually come around. Instead of the regular ghd 1" that cost $225 Cad I got one of the Katy Perry Erra Iron sets for $199 Cad. There were three of them avalible orginally, but the only one left in stock was the 'New Wave" set. 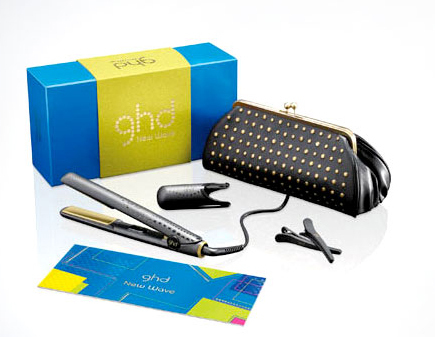 If you want a ghd and want to save some money go get one of these sets, not only do you get more, you pay less. A set of 10 of Sephora's most shimmering products. I've bought 3 of these sets in the past and loved them. I recommend everyone look into the 'Lashstash', it is a great way to try out new mascaras without massive investment. I saved just pennies shy of $50 on my purchase today, so it was a good day. I am glad that I got the ghd and can't wait to use it.